On Shabbat, I will speaking at BAYT, with a Motzai Shabbat multimedia presentation on "The Animal Kingdom in Jewish Thought." On Tuesday evening at 8pm, I am speaking on the Chicken Wars at Shaarei Shomayim. If you'd like to contact me about a private meeting, please email me at director@BiblicalNaturalHistory.org. For many years, the gold standard in kashrus has been the Badatz Eidah Charedis. If you wanted food of the highest halachic standard, if you wanted food that you can be sure that all your guests will eat, that's the hechsher you would get. I don't know how effective this will be, since it's difficult to get people to change their shopping habits and the hechsher is so widespread. Perhaps it would be helpful to compile a list of foods with which there is a non-Edah Charedis alternative to Badatz. Then you could say, "Instead of buying Bamba, buy ___". Whatever one thinks of this, the fact is that for anyone selling food products or producing an event, you can no longer assume that your consumers or guests will be happy if you get an Edah Charedis hechsher. They may refuse to eat the food. Today is Giving Tuesday! You can contribute to your favorite Biblical Museum of Natural History at this link. A few days after writing my post "When Rabbis Quack - In Print," in which I disparaged a variety of forms of alternative medicine, I suddenly had an ocular migraine. These are not pleasant - my peripheral vision disappeared, followed by great dizziness and a piercing headache. On the same day, I started to feel pain on the right side of my jaw. Over the next few days, this got progressively worse. I couldn't chew food without experiencing great pain, and I couldn't even close my jaws all the way. Two of my sisters are in the medical profession. 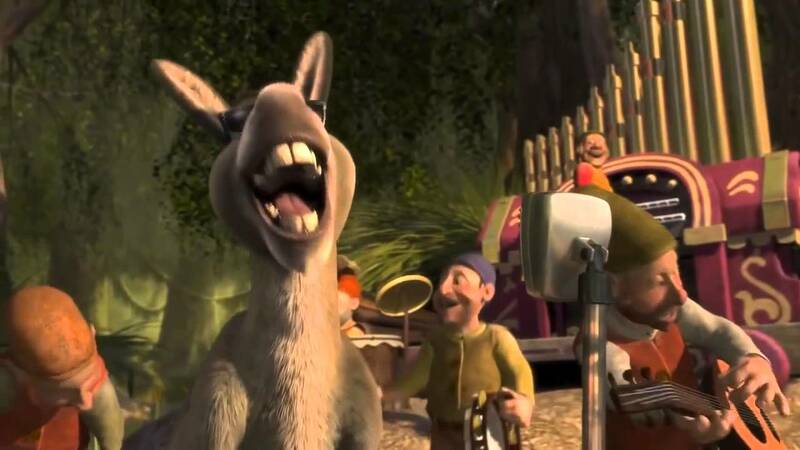 My sister the dentist told me to see a dentist. My sister the eye doctor told me to see a doctor. I couldn't bear to wait any longer, so instead of either of those, I went to a neighbor who is a chiropractor. According to Wikipedia, "Chiropractic is a form of alternative medicine mostly concerned with the diagnosis and treatment of mechanical disorders of the musculoskeletal system... Its foundation is at odds with mainstream medicine, and chiropractic is sustained by pseudoscientific ideas such as subluxation and "innate intelligence" that are not based on sound science." Even more alarmingly, "It is frequently associated with mild to moderate adverse effects, with serious or fatal complications in rare cases. There is controversy regarding the degree of risk of vertebral artery dissection, which can lead to stroke and death, from cervical manipulation. Several deaths have been associated with this technique." I only read that after I came back from the chiropractor. Had I read it beforehand, I probably wouldn't have gone. Which would have been a shame. Because although the appointment itself was excruciatingly painful, it completely solved the problem. The chiropractor pushed her fingers into my jaw; it felt like a pickaxe penetrating my skull. 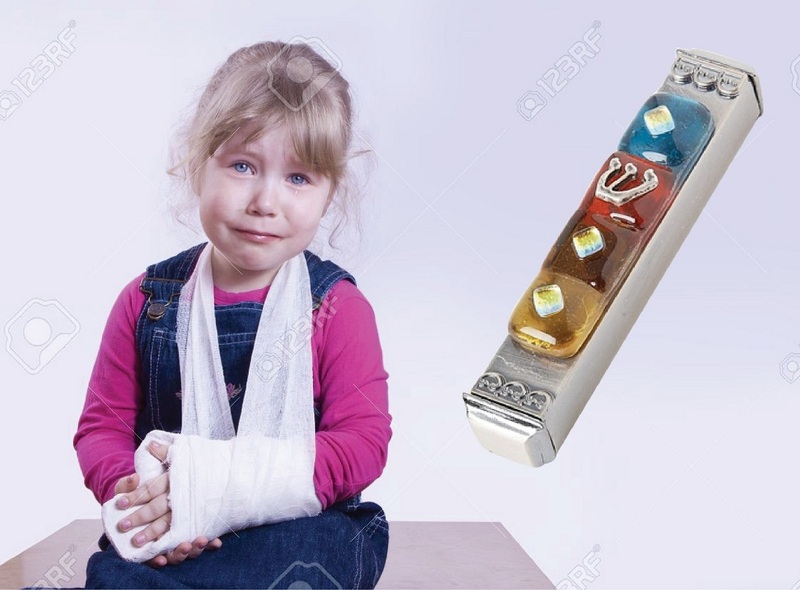 It was almost as bad as kidney stones. I was seeing stars and almost weeping from pain. Then she yanked my head sideways, and the bones of my neck made a great crunching sound, like in those Arnold Schwarzenegger movies when he snaps someone's neck. I had TMJ - Temporomandibular joint dysfunction, caused by a longstanding unfortunate habit of clenching my jaws. This also caused the ocular migraine. The chiropractic technique cured it. The next day, I was able to close my jaws, and chew without any pain. So does this mean that I renounce my skepticism of alternative medicine? No, it doesn't. I am still every bit as dismissive of the forms of alternative medicine that I mentioned in that post - auras, chi, reiki, energy healing, distance healing, meridians, acupuncture, applied kinesiology, emotional freedom techniques, dowsing, homeopathy, radionics, crystal healing, geopathic stress, feng shui, iridology, and reflexology. But I didn't mention chiropractic in that post. While this was primarily because it wasn't discussed in the book that I was critiquing, it's also because chiropractic procedures cannot all be summarily dismissed. Based on my very limited research, it seems that chiropractic is a somewhat vague term that actually covers a broad range of beliefs and procedures. Some of these, like the idea that spinal manipulation can cure all kinds of health problems, is quackery, but other parts are much more mainstream and are supported by many conventional doctors. There's nothing anti-scientific about the notion that massaging (or torturing) the muscles in the jaw will loosen them. And there is no question that it helped me! So, yes, I still believe that one should be skeptical of alternative medicine. On the other hand, one should be careful about drawing far-reaching conclusions from a Wikipedia article. I think that it might be helpful if you explained whether you disagree with R' Berkowitz about his point that there is a "plan" to change Chareidi society, or if you instead think that there is some effort to integrate Chareidim but that such effort is necessary... 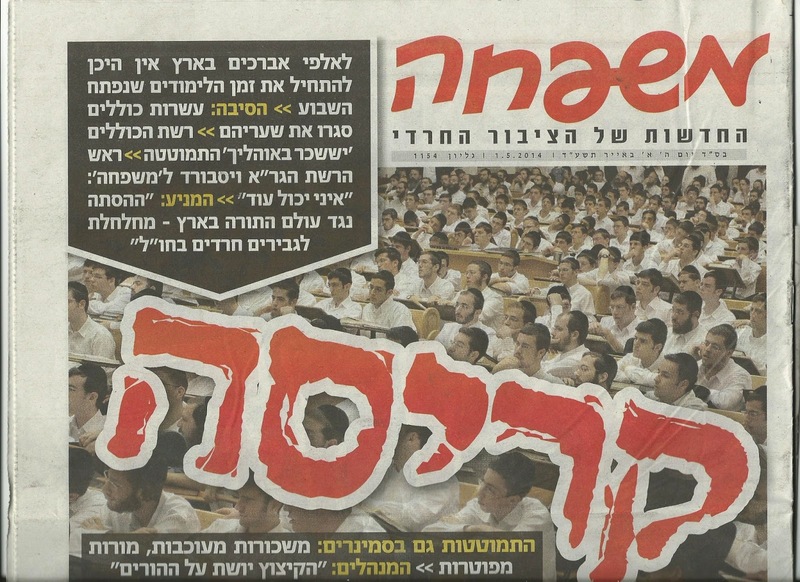 Unless you are of the opinion that Chareidim leaving kollelim en masse to pursue a higher education and meaningfully join the workforce is not an existential threat to Chareidi society as it looks today, I'm not sure what your issue with R' Berkowitz's stance is. To respond to this, let's discuss another scenario: the War Against Children. This is the ongoing campaign by adults to destroy childrens' desire for freedom to play all day, by forcing them to attend school. Against their will, there is a "social engineering" project which is an existential threat to their desired way of life. They aren't going to be able to be children! Of course, that's absurd. The existential threat would not be less playing; it would be a world in which children do not receive an education. There's a certain degree of social engineering, but this is wholly appropriate, since the children have no plan as to how to run society without an education. And there's no malicious intent involved; nobody has anything against play, it just has to be balanced with responsibilities. They can still be children with playtime. It would be ridiculous to describe it as a War Against Children; it would be a Desire For Everyone's Survival. The same is true here. The existential threat to charedi society is not less people in full-time learning (which was the historic norm in Judaism); it's a society facing economic collapse, which will in turn lead the entire country towards economic collapse. There's a desire and effort to influence and change charedi society, which some might call "social engineering," but this is wholly appropriate, since charedi society has not itself formulated any plan as to how societies with large families will survive without people getting professional careers, nor as to how the country will survive with an ever-increasing proportion of charedim. And there's no malicious intent involved; nobody has anything against learning Torah, it just has to be balanced with responsibilities, for the sake of the entire country. Charedim will still be able to learn Torah, they will just have to also get an education and a job, just as many American charedim do and just as pretty much everyone did before the recent Mass Kollel Reformation. It's ridiculous to describe it as a War Against Torah; it's simply a Desire For Everyone's Survival. A few weeks ago, the "Days of Rage" swept across Israel, with thousands of charedi demonstrators shutting down highways in protest of the arrest of those who hadn't reported for draft deferments. 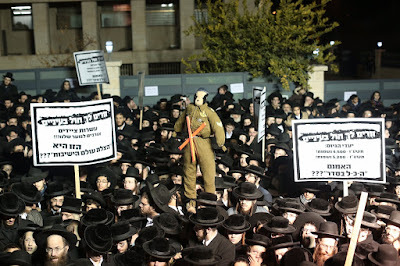 In the aftermath, popular belief was the demonstrators represented a narrow faction called Peleg, led by Rav Shmuel Auerbach. In a post entitled "Was the Charedi Day of Rage Charedi?" I explored whether it could nevertheless be described as a charedi phenomenon, and I argued that it could. Rabbi Avraham Edelstein, on the other hand, claimed that these people cannot even be described as Orthodox, let alone charedim. Well, here is some more information that has come in. First of all, there is a dovetailing of efforts with the Badatz Eidah Charedis. When the young men were released from prison, they received an official welcoming reception at the homes of two people: Rav Shmuel Auerbach, and also Rav Yitzchak Weiss, Gaavad of the Badatz. Second, there is an astonishing audio recording of a talk on the topic given by Rav Yitzchak Berkovits, head of the Jerusalem Kollel. Rav Berkovits, formerly of Aish HaTorah, is a very fine Torah scholar who is known for his great love of Am Yisrael and who is generally considered to be one of the more moderate figures in the charedi world. (I am reasonably sure, for example, that he has no problem with prehistoric dinosaurs or with Chazal having relied on the science of their era.) 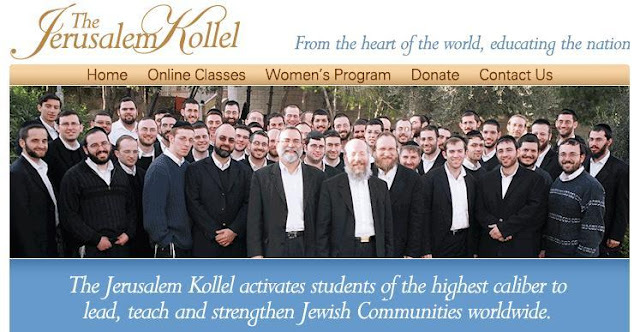 His kollel is an important mainstream Anglo-charedi institution which trains and places many rabbis in positions of leadership around the world. In his talk, Rav Berkovits describes the entire situation as a legitimate dispute between Gedolei Torah. 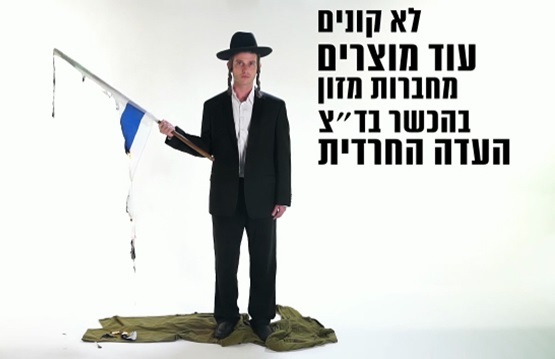 Chas v'shalom, he stresses, to disparage either Rav Shmuel Auerbach or the demonstrators! (Although, he later adds, it might be necessary to lie and pretend that one is opposed to their actions, for kiruv purposes.) The question is, as he describes it, are there merely haphazard and uncoordinated anti-Torah efforts, in which case rioting is unwarranted? Or is there a Master Plan (sic) by the Zionists to take over and destroy charedi society? If the latter, he says, then it is necessary to avoid even reporting for an army exemption, and one must take to the streets in violent protest. Because "nothing crucial has ever been accomplished by peaceful means and negotiation; it's either violence or political manipulation." He dismisses the problems caused to the general public as an insignificant inconvenience which is more than justified by the goal. Let's not discuss the fact that Rav Berkovits takes it as a given that yeshivah students should not serve in the army (which is normative belief in the charedi world) and that there is no legitimate reason for others to be opposed to that. Let's also not discuss his claim that violence or political manipulation is the only way to achieve anything. Instead, I would like to address his basic premise, which he states emphatically, that there is an underlying inexcusable desire to destroy charedi society, with which the only question is as to whether it actually takes the form of a Master Plan. This is the same siege mentality that was expressed in the last elections in Beit Shemesh, where local Anglo-charedi rabbanim spoke about the need to be vigilant against the "war on Torah." 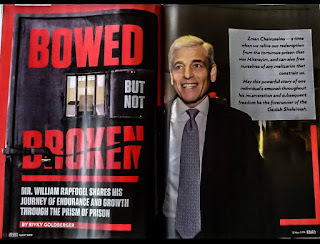 The reason why this is so preposterous, is that as Jonathan Rosenblum has written on numerous occasions in Mishpacha magazine, there is a very real problem with charedi society. And the problem is that there is no Charedi Master Plan! Rosenblum was not bemoaning, as Rav Berkovits does, the lack of a Master Plan to take over secular society. Instead, he was bemoaning, as do all sensible people, the lack of a Master Plan regarding how charedi society and the State of Israel as a whole is going to survive when a third of the population does not and cannot work in a professional career. (See my post "Rosenblum: We All Need Charedim To Get Academic Education And Professional Employment".) As he pithily asks, who will fund the IDF? Who will fund charedi society? 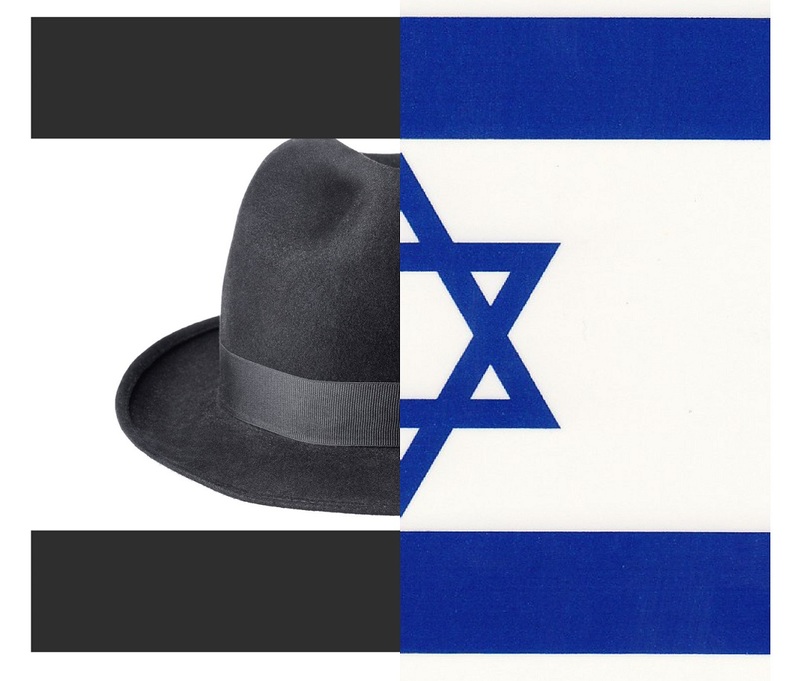 How will the economy of the State of Israel survive? Rav Berkovits seems to be saying that if you are deeply concerned about such things, and you want the situation to change, then you are part of the terrible War on Charedim. And if you actually try to strategize and implement change, then this should be countered with violent protest. This is what he teaches to his audience of trainee rabbis, getting ready to lead pulpits around the world. It's very distressing. UPDATE: A certain Rosh Yeshivah just called me, up in arms over this post. He insisted that Rav Berkovitz is completely out of touch with the mainstream charedi world on these matters, which views the entire Peleg faction as being utterly illegitimate in their views and methods. If you appreciate my writings, please support the most important project with which I am involved - the new building for The Biblical Museum of Natural History! Click here to donate. Good news - the Chicken Wars monograph is now available in Hebrew! Click here to download it. The English edition is still available here. While I was researching the Chicken Wars, there were some mysteries which came up with the Braekel enterprise. 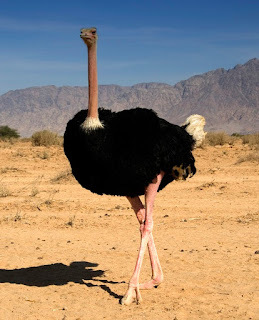 If the Braekel people truly believed that all regular chickens were not kosher, then why did they keep their efforts pretty much secret until this past summer? Why weren't they publicizing all along that there is a problem with regular chickens, and that people should try to obtain Braekels? 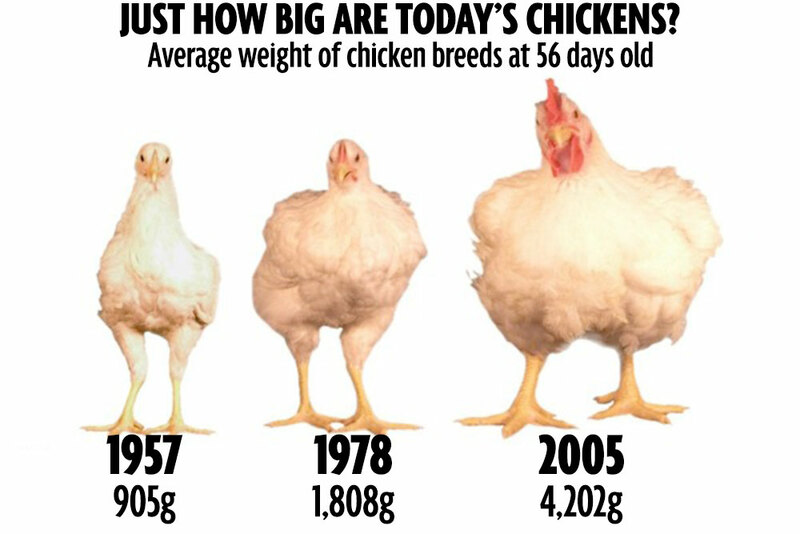 Another question is this: There are countless old breeds of chicken. Why did they pick the Braekel? In fact, of all the old breeds of chicken, the Braekel is somewhat problematic - in the 1970s, there were so few Braekels left in the world that other lines were bred into it. So it's not even a purebred line! Why was it picked to be the kosher chicken? Here's an explanation that I was given. I can't reveal my sources, but they are very, very good. It was Rav Shmuel Wosner who originally raised a concern with modern chickens, twenty years ago. He was the person responsible for the hunt to find a pure, traditional chicken. But, according to what I was told, he was always emphatic that if such a chicken were to be found, it should not be presented as the *only* kosher chicken; rather, it should be presented as a preferable alternative. Now, there's a problem with engaging in such an enterprise, from a business perspective. 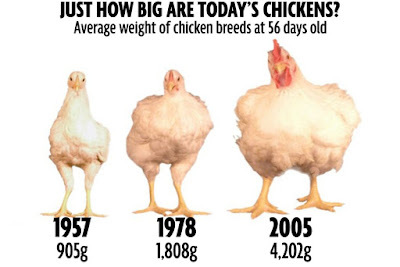 Any heritage breed of chicken is much less economically viable than modern chickens, which were specifically developed to grow much fatter on much less food and in much less time than traditional chickens. So the only way to make any money off it is to charge a very high price for it, and to make sure that plenty of people are going to buy it. How do you do that? Well, you're going to have to control the only supply of such chickens, so that you can charge whatever you want. But how do you control the only supply of kosher chickens? Well, you're going to have to make sure that the breed which you sell is the only one that you have proclaimed to be kosher, and it's going to have to be a very rare breed that nobody else can get their hands on. 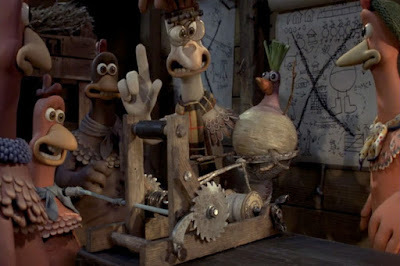 Thus, in order to make money here, they had to wait until Rav Wosner passed away, then pick a very rare heritage breed - the Braekel - that nobody else would be able to obtain, and then wait further until they had raised enough to start marketing them with the sole monopoly, and then declare the Braekel to be the only kosher chicken. If all this is true, then although the Braekel is indeed a kosher breed (albeit not superior to any other), it is supreme poetic justice that the majority of the charedi rabbinic establishment declared it not to be kosher at all. Unfortunately, many people suffered as a result, since the Braekel enterprise stirred up enough controversy that there are now many hundreds of families in Israel and New York who are not eating chicken at all. I am very much hoping that my monograph will encourage people to start thinking differently about all this. Several months ago I critiqued an as-yet unpublished Hebrew manuscript on alternative medicine by a vaccine-opposing rabbi called Rephoel Szmerla. 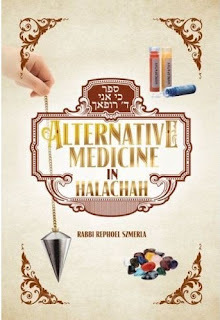 The book has since been published in English, under the title Alternative Medicine in Halachah, and was the subject of this week's cover story in Mishpacha magazine (which was somewhat of a puff-piece for the author, but also interviewed physicians who firmly disputed the validity of alternative medicines). The author claims that those who argue against such alternative medicines due to their being "scientifically undetectable" have been influenced by "Greek philosophy" and will end up as heretics. He stresses that accepting the truth of such treatments even without a scientific explanation or even a double-blind test of their efficacy is an essential part of Jewish identity, as per the declaration at Sinai of naaseh v'nishma, we will do even if we do not understand. 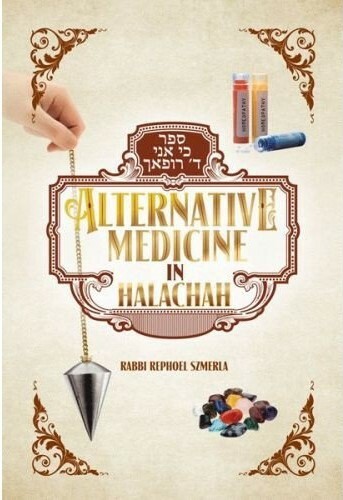 The purpose of this sefer is to clarify the halachic status of various alternative therapies. It is not my goal to encourage people to discount conventional medicine. Indeed, rejecting standard medical treatment will sometimes constitute a transgression of the commandment, You shall take great care of your lives (Devarim 4:15). In the case of a serious condition, one should seek rabbinic guidance before pursuing alternative therapies in lieu of conventional care. This is a welcome statement, albeit that I do not think that people with serious conditions should ever refrain from conventional care, and I dread to think what kind of "rabbinic guidance" readers of this book might seek; it could well be Rav Chaim Kanievsky rather than Rav Firer. Still, the thrust of the book unfortunately stands in stark contradiction to this disclaimer. It is not just about "clarifying the halachic status of various alternative therapies" - it argues for their efficacy (using such absurd "evidence" as contagious yawning being a demonstration of the influence of energy from "auras"). And it is not only all about not only encouraging people to believe in all kinds of quackery, but it also encourages them to see conventional medicine as problematic in that it leads people away from belief in Hashem. The penultimate paragraph of the books declares that "Contemporary medicine is the product of modern science, which denies the existence of Hashem and His Omnipresence." That statement is not only utterly false, it is also dangerous. The Mishpacha article concludes with a quote from Rabbi Szmerla about the unreliability of science, arguing that just as scientific theories from 100 years ago have been disproven by modern science, "What will happen in the next 100 years? Anyone who believes modern science has all the answers is naive." Now, I don't think that anyone believe that modern science has *all* the answers, but that doesn't mean that there is any reason to take quackery seriously. We've heard such dismissals of modern science before, and as before, it demonstrates a complete lack of knowledge and understanding of the history of science. Science does not "keep changing"; rather, it keeps being refined. First it was discovered that the earth is spherical; then it was discovered that it is a slightly flattened sphere; then it was discovered that it's slightly more flattened at one side then at the other. At no point will science change its mind and decide the earth to be flat. Likewise, at no point are the fundamentals of physics and physiology going to be utterly overturned. Telling people that scientists don't know what they're talking about is plain silly. Telling people that with regard to medical science is actually dangerous. 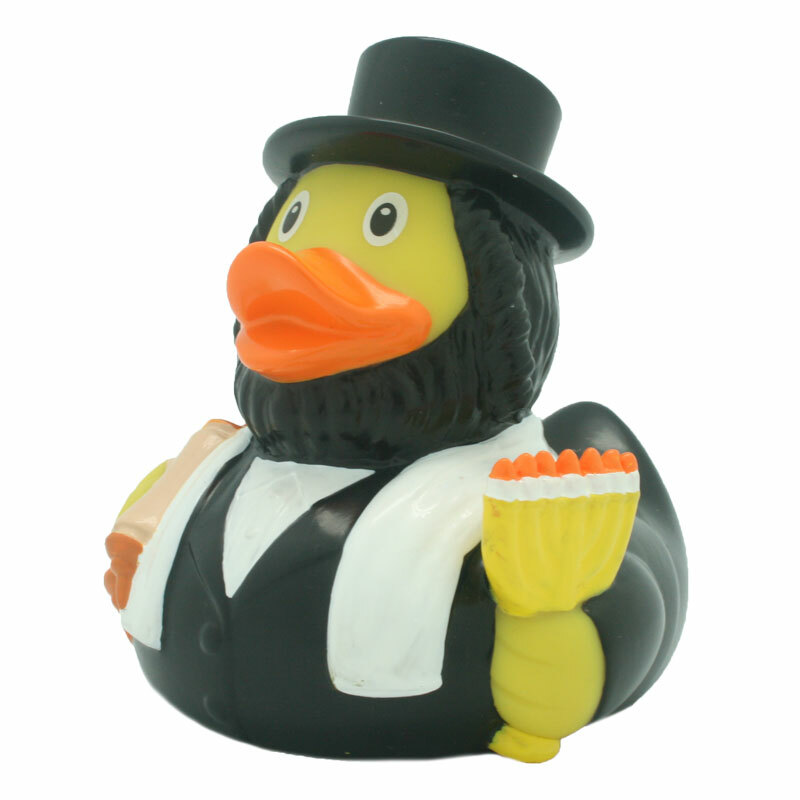 The original critique of Rabbi Szmerla's book can be read at the following link: When Rabbis Quack. On a different note, you can read my article about the Balfour centennial at this link, and you can download my monograph on the Chicken Wars at this link. A re-post, to mark the Centennial of the Balfour Declaration, exactly one hundred years ago. The following essay was published in The Jerusalem Post and cross-posted at The Biblical Museum of Natural History website. 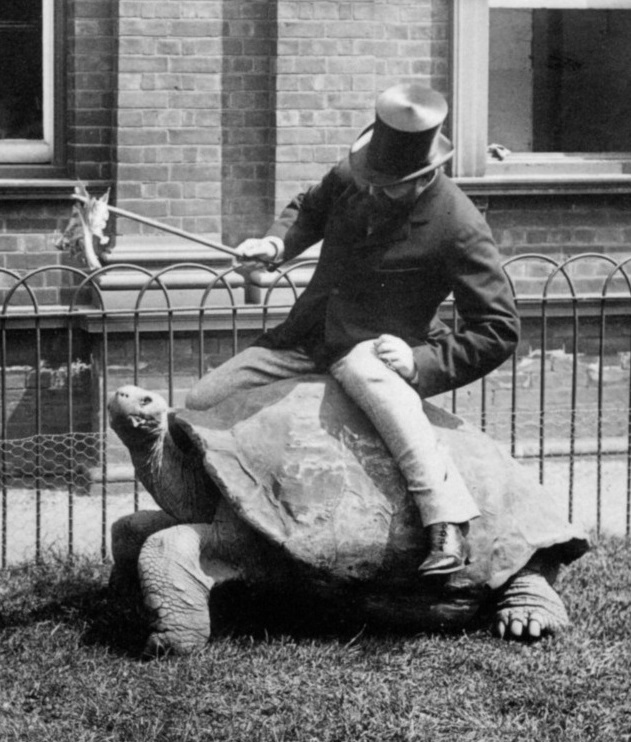 It is hard to overstate the eccentric Lord Walter Rothschild’s obsessive fervor for zoology. At his estate in Tring, he collected more specimens than anyone else in recorded history. Rothschild discovered and catalogued countless new species, over two hundred of which are named in his honor. Amongst his collection of live animals was a tame wolf, 144 giant tortoises, and flocks of cassowaries and kiwis, and he trained zebras to pull his carriage to Buckingham Palace. 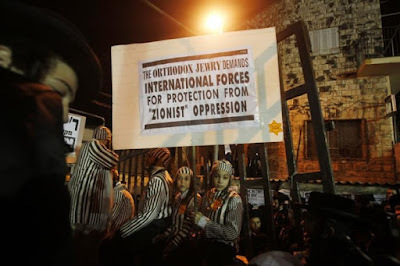 The Palestinians dispute the very raison d’être of the Jewish State. In the Balfour Apology Campaign and elsewhere, they portray the Jewish People as European colonialists. They reject the historical facts of the ancient Jewish presence in the Land of Israel. They deny the existence of the Temple and work at destroying archeological remains.